Thun presents the successor of its renowned product X-CELL RT. The upgraded torque sensor X-CELL RT 2.0 features a composite and Macromelt® sleeve with a reduced diameter for easier assembly and a nano-coated PCB that ideally shields the sensor from humidity. 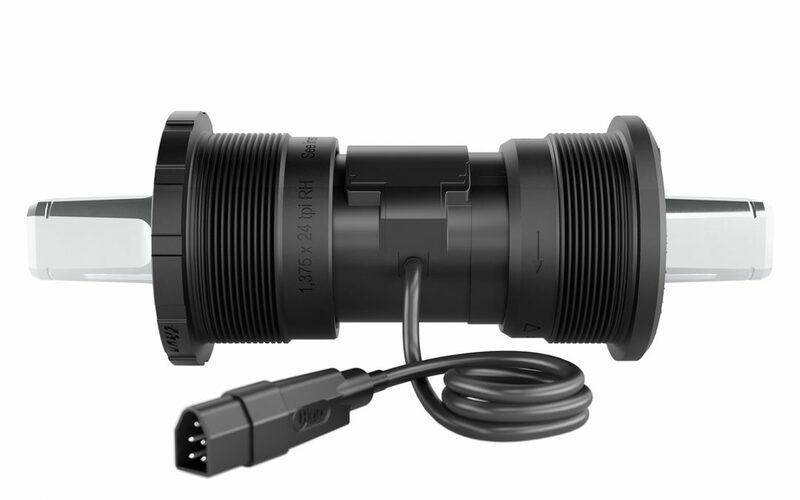 The new sensing bb-set is suitable for city, trekking or mountain bikes. It is equipped with a zinc-coated (A2B) spindle and 2RS ball bearings. X-CELL RT 2.0 senses rotation, rotational direction and torque. Thun’s new SIS system (Standard Interface System) is equipped as standard and encompasses a cable with a cable length of 220 mm and a standardized connector (Higo Mini Z509 FG male). Other cable and connector options are available on demand. Thun has launched its new torque sensor X-CELL RT 2.0 which features the new SIS system (Standard Interface System). The SIS consists of a standardized cable (cable length = 220 mm) and a standardized connector (Higo Mini Z509 FG male). This cable and connector form the interface. When OEM customers require a different connector for the purpose of connecting X-CELL RT 2.0 to their controller they require an extension cable with an SIS compliant connector on the one side (Higo Mini Z509 FM female) and their desired controller compliant connector on the other side. Such extension cables can be sourced from Thun’s cooperation partner A&C Solutions. SIS allows the perfect blend of cable and connector standardization and customization, drastically reduces lead times and guarantees availability of spare parts.